From The 401kWire.com, courtesy of, Ameritas, a trusted partner of TAG. 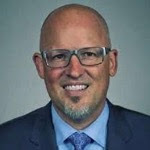 (401kWire) – Jim Kais and his team will soon launch a new platform for small market 401(k)s.
“We’re preparing an October introduction of what we’re calling the Retirement Collective,” says Kais, senior vice president and head of the retirement plans division at Ameritas. The Retirement Collective (Ameritas has already filed for a trademark on the name) will be an open multiple employer plan, designed for employers with fewer than 100 employees each. Ameritas will bring in outside allies to offer 3(16) and 3(38) fiduciary services, while the bundled provider handles recordkeeping itself. The open MEP will only be available for 401(k)s, at least at first. “Likely we’ll expand to the 403(b) market as well in the near future since they have similar needs,” Kais tells 401kWire. The new open MEP platform has been in the works for a few months, Kais says, and Ameritas already does closed MEPs, too. Meanwhile, the federal government appears poised to get more open–MEP-friendly, thanks to a recent executive order from President Trump. Like other defined contribution industry insiders who like open MEPs, Kais sees this plan type as offering a way to reduce the 401(k) administration burden on smaller employers while also gaining the scale to offer lower fees than standalone small 401(k) programs. That, so the argument goes, means more small employers with more participants inside more 401(k) plans. This story was sent with permission from a copyrighted InvestmentWires’ news site. For information on reprints or authorization to resend this story please contact InvestmentWires at 212-331-8999 or use the “Routing List” tool located on InvestmentWires.com.